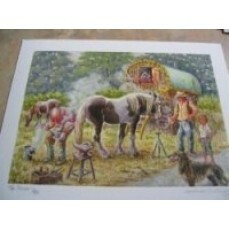 Small but beautiful print from a run of only 50 Sold in aid of the Brooke hospital for Animals. Has a similar one to match. Loverly colours showing Farrier at his job.